interacts with sunscreen. Here's how. Your exposure to UV today is different from your exposure tomorrow, so let SPOT™ take the guesswork out of your protection. SPOTMYUV's™ patented skin mimicking technology™ shows how much UV is getting through to your skin. When you're in the sun and exposed to UV rays, SPOT's™ purple dye is visible. When you're wearing (enough) sunscreen, UV rays are blocked and SPOTMYUV™ is clear. For more information about how the colour change works, visit our FAQs. What are spots™ made of? 1. 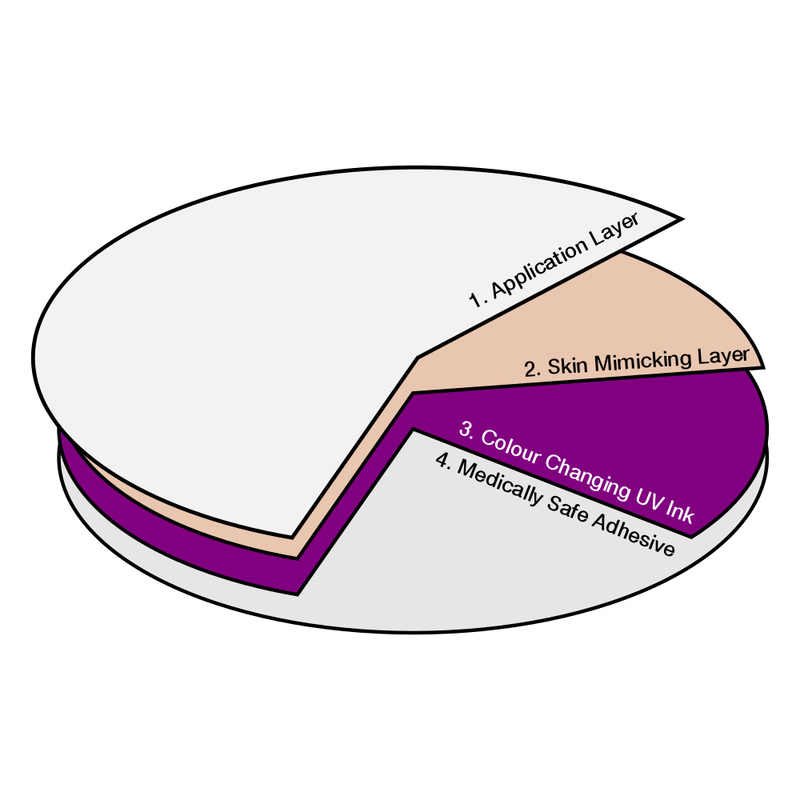 Top applicator both protects SPOTMYUV's™ skin mimicking technology and ensures a contamination-free application. 2. Our patented skin mimicking layer absorbs and releases sunscreen like your skin, giving you a personalized reminder of when to reapply. 3. 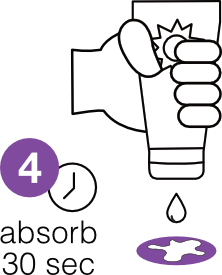 Non-toxic dye is clear when sunscreen is applied and purple in UV light when sunscreen wears off. 4. Hypoallergenic and waterproof adhesive lasts all day. Our stickers have been tested by collegiate athletes in and outside the water to make sure they last all day without leaving a rash. Follow these easy steps to make sure you're getting the most out of your SPOT™. If SPOT™ doesn't peel off with applicator, it's ok! Simply peel SPOT™ from the sheet by itself. 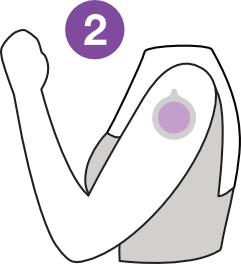 With SPOT™ facing down on skin, stick SPOT™ to arm. Avoid excessive hair, oily or sweaty skin, skin with lotion, and edges of clothing. 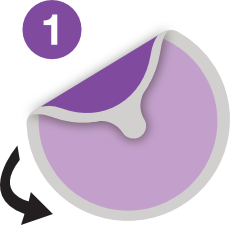 When SPOT™ is firmly stuck to skin, peel away and dispose applicator. Expose SPOT™ to direct sunlight. Use exposure scale to check colour. SPOT™ will not change colour indoors or in shade. SPOT™ starts purple and turns clear when you're protected. SPOT™ will change colours multiple times throughout the day to indicate your protection. You only need to use one per day, but make sure to replace after each day's use. If SPOT™ is not fully clear, use more sunscreen and be sure you're in direct sunlight. Repeat steps 4 and 5. 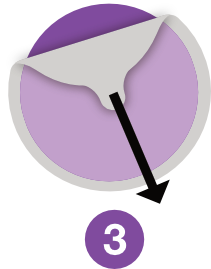 SPOT™ is resuable for one day and will change colour again. As your sunscreen wears off, SPOT™ changes colour to remind you to reapply. You may learn that you should be using more sunscreen than you usually do!